It has been known in Poland for centuries, not only as the basis of diets during periods of fasting, but also a tasty and healthy snack. Even before 1939, restaurants served it as an appetiser before lunch, usually with a shot of cold vodka. Herring was served in the simple but savoury form of sandwiches, as it all came down to its excellent quality. Since the end of the war, it has continued to be appreciated as a cheap yet very healthy fish, however, finding high quality products is nowadays much more difficult. In the Middle Ages, the fish was popular across all of Europe. 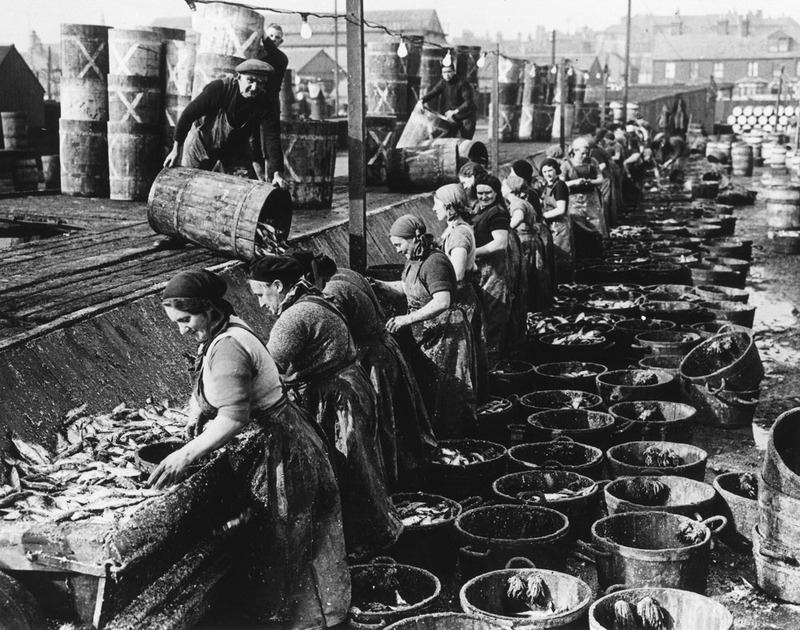 Although we tend to think of it as of a typically Polish thing, it was actually the Scandinavians and the Dutch that led the field in both fishing and preparing herring, especially excelling in producing their matjes (soused herring). In fact, the power of the Dutch navy was built on the basis of its fishing fleet. According to a common saying, Amsterdam is built of herring bone and the Dutch turned herring’s stench into gold. The French used to pray to a herring – St. Hareng, and the fish itself used to serve as a form of currency. It’s said that even Voltaire once admitted that although the salting and selling of fish may not be the most important issue in the history of humanity, there certainly are cities that owe their power to herring. Since Gallus Anonymous mentioned herring in his 12th-century documents, we know that at the time, they were also eaten in Poland. Thanks to better means of transport in the 13th and 14th centuries, it became easier to bring them inland. After being caught, the fish were salted straight away. Fishing schools of herring was easy and cheap. That’s why even in royal Kraków, 600km from the Baltic shore, almost everyone could easily afford it. In fact, it remained accessible even in times of famine. The herring was also a symbol of long and strict periods of fasting. In homes of all social classes, they used to be on the menu when almost everything else (meat, vegetable fats, dairy products) was banned. There is a legend that says that even King Władysław Jagiełło had a taste for them. The so-called śledzik has been (and still is) one of dishes that we eat on Shrove Tuesday, but it was also present during Lent. That’s when the less affluent would eat herring and żur every day. 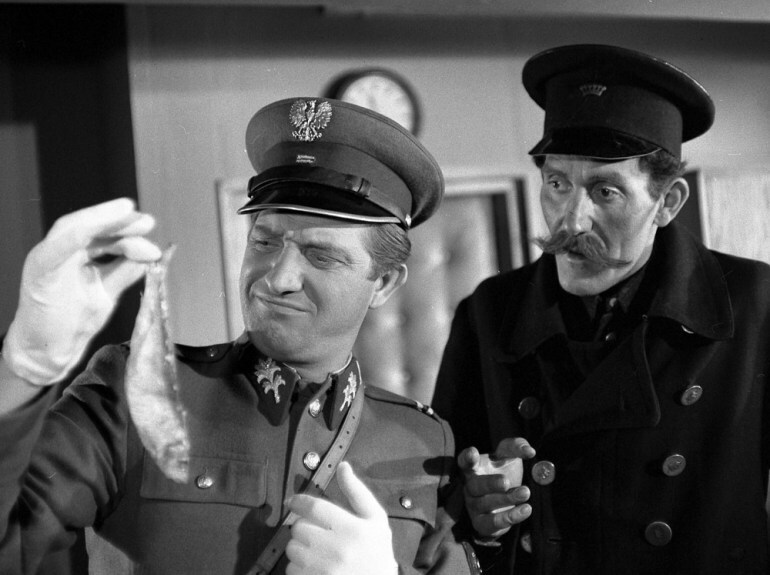 Hence another old Polish tradition of giving herring a ritual funeral at the end of the Lent period. In many Polish houses herring is on the table on Christmas Eve – in cream, oil, sometimes also with nuts, raisins or plums. It also used to be an indispensable element of birthday or name day party buffet. After World War II, some restaurants and milk bars served (and some still do) herring à la japonais, a somewhat strange snack, obviously unheard of in Japan. Anyone who spent at least some time in the PPR knows this dish and maybe even remembers it with a hint of nostalgia. A slice of matjes was wrapped around a hard-boiled egg and topped with onion. It was served on a portion of potato salad with mayonnaise. What we get today in shops are mostly soused herring fillets that, according to herring specialists, can’t be compared to those from before (fish that we find on the Polish market is mostly 2 years old, best suited for smoking). We mainly serve them in oil, cream or in the form of various salads. Only 100 years ago, cookbooks were full of recipes for each kind of fish. They were quite simple, but based on easily accessible ingredients of good quality. No wonder that every housewife knew the difference between each kind and could prepare them all. Uliki (young, fat herrings) were brined and then marinated right before serving. Maria Ochorowicz-Monatowa, a popular author, (her cookbook was translated into English in the 1950s) instructed her readers to always look for thick, red, fatty herring because ‘they’ll always be the best’. 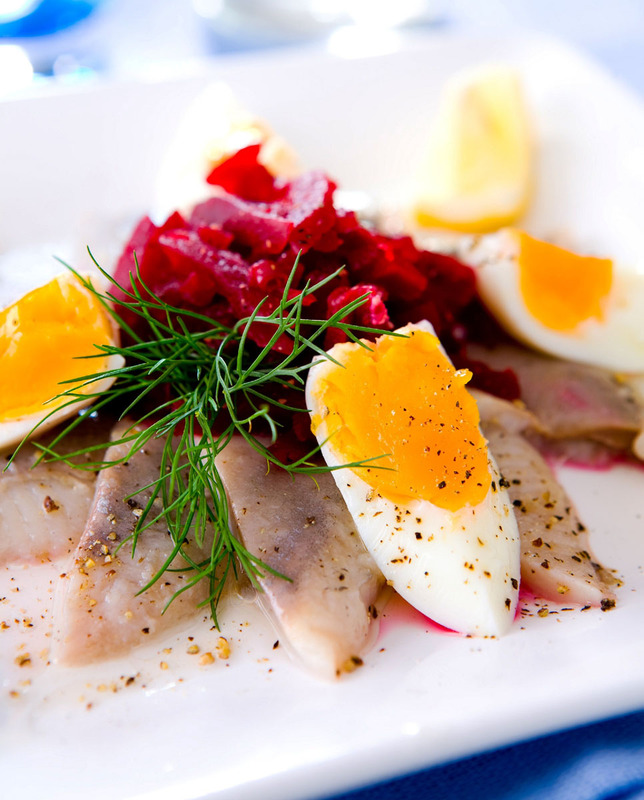 Mleczaki is the name for herring with milt that was used for sauces or marinates. The marinate would be from vinegar with spices and sliced onion, the milt would be crushed and ground with olive oil, vinegar and a bit of sugar, and served with gherkins and pickles. 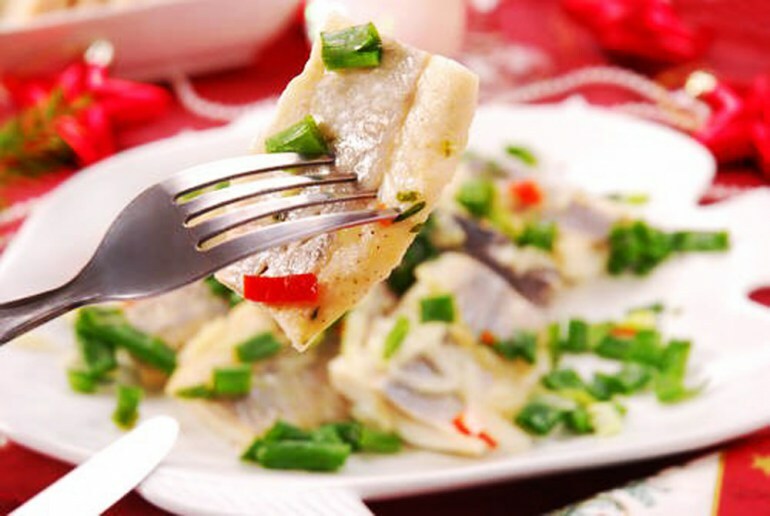 Śledź pocztowy is an especially valued kind of herring that swims in front of its entire school. It can be served as a flavoursome paté with pork fat and onion and according to another author, Maria Disslowa, "Spread on a bun it makes an exquisite snack before lunch". ...I once asked Stefan, a salesman, where they find such excellent herring. He said it was easy. They order a barrel of the best sort of herring (so-called pocztowe), throw them into a tub, pick the 30 or 40 best pieces and return the rest. Even then, fresh, silvery-pink, one-year-old Dutch herring, caught before the breeding season, were considered a real delicacy. They are caught mainly by the Dutch, who have been perfecting their production process for at least 800 years. The technique is now top secret and protected like a national treasure. Once, every housewife had a secret trick to get rid of the excess salt, and to extract the herring’s taste: they would soak them in milk, buttermilk, water, beer or even wine. Fat Dutch matjes would then be stuffed, other types were fried, baked, turned into cutlets, patés, puddings or served as a snack with marinated mushrooms, capers, and gherkins, and sprinkled with olive oil. 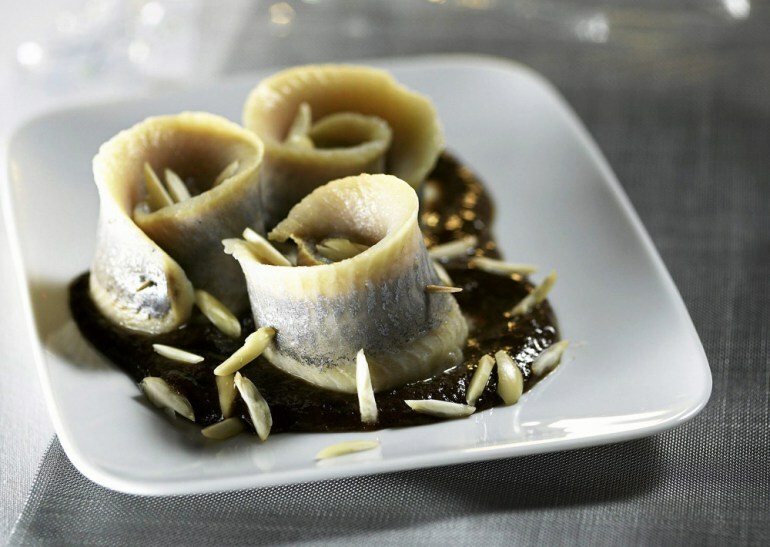 Homemade rollmops were popular, just like today. Herring is still loved by many. There are even special meetings devoted to tasting original recipes or reinventing old ones. Noc Śedziożerców is an event organized in Szczecin by Gienio Mientkiewicz, a great advocate of Polish home cheesemaking. In the last couple of years, it has gathered cooks, artists and journalists whose task is to prepare a herring, but without repeating recipes from previous years. So far, they have served a herring, pickle and champagne sorbet, herring angel wings, herring cake, pralines with herring in cherry liquor, cheese and herring dumplings, herring with daisies, herring in orange jelly, herring sausage and many others.